I had so much fun researching for my Design Research midterm presentation, I wanted to use my blog post this week to present to a wider audience the innovative and inspiring concepts behind Design Fiction as well as some of the curious and often humorous projects emerging from the field. Design Fiction in many ways emerged from science-fiction books and films. In order to create a compelling future setting, technology, ways of life, alternate life forms, food, relationships, the environment, indeed EVERYTHING that goes into defining a future world must be imagined, considered, and designed. Sometimes, like with the tablet, Design Fiction becomes realized. In The Hitchhiker’s Guide to the Galaxy, author Douglas Adams describes the guide as “the standard repository for all knowledge and wisdom” and “a small, thin, flexible lap computer” encased in a “sturdy plastic cover”, much like we might describe a tablet computer today. A tablet-like device also appears in Stanley Kubrick’s 2001: A Space Odyssey. The idea of a portable device which contains or accesses all worldly knowledge surely predates these examples, but here a nebulous idea is transformed through design thinking into relatable objects one can envision oneself using. The Extrapolation Factory’s 99¢ Futures. This intriguing project began as a design jam open to the public. A variety of participants worked with the Extrapolation Factory team to imagine a variety of products one might find in a dollar store of the future. 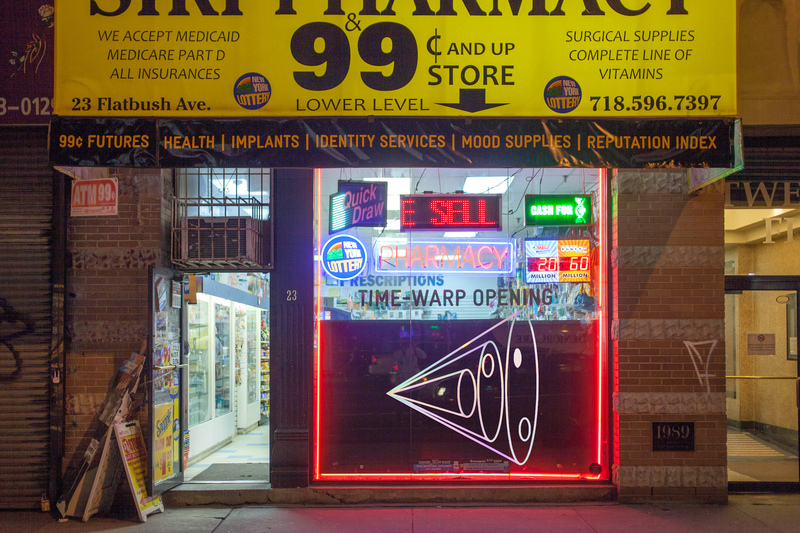 Future products were developed by the group out of real dollar store finds, packaged and placed on the shelves of a store, mixed in with ordinary items for the public to peruse. A great CNN article sums up the project and offers a photo slideshow of the products and process. Addicted Products: Brad the Toaster by Simone Rebaudengo. Sci-fi author Bruce Sterling, a prolific Design Fiction blogger, appreciates the video as a medium for design fiction: “I think the most effective design fictions to date have been videos. They’re not science-fiction films; they don’t have any Avatar-style heroics. They’re mostly vignettes of people interacting with objects and services.” This video presents a not-so-distant future in which products like Brad the Toaster go where they are needed and wanted. Addicted products: The story of Brad the Toaster from Simone Rebaudengo on Vimeo. 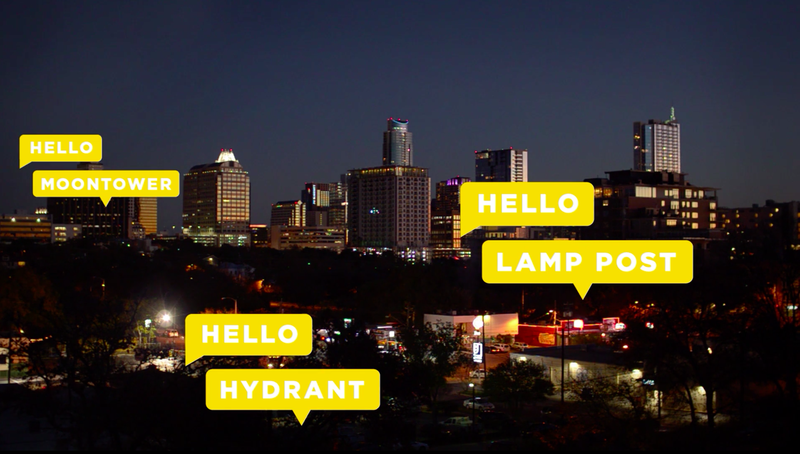 Hello Lamppost: Austin is based on a concept first implemented in the UK by British design firm PAN Studio. Now it’s currently underway for a 10 week installation around the city of Austin, Texas. While the project crosses many design fields, including social and interactive design, it was conceptualized as a look at how we might communicate with inanimate objects in the future. Visit the website for a short video on how the project works. If you’re interested in learning more about Design Fiction, check out Bleecker’s Near Future Laboratory, The Extrapolation Factory, blog posts and articles from sci-fi author Bruce Sterling, and Design Fiction offerings from tech sites Slate and Wired. Happy futures!